I know, I'm bad at passing on these awards, I find that time gets the better of me. Here are some overdue ones, some new ones, and a ton of thanks! Firstly, not an award but a big thanks to Sunita from Sunita's World, for the Flickr Pro Account which she donated to the recent appeal for Bri. I'm embarrassed to say that I didn't know about her or her beautiful food blog, but I do now! 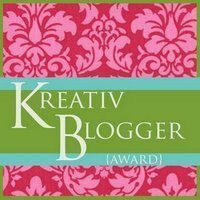 This is a long overdue thank you to Anne, from Anne's Kitchen, for the Brillante Weblog award. Jan at What Do I Want To Cook Today? Thank you to Yasmeen from Health Nut, for giving me the 'I'm a Chocoholic' award - how did she know? I love eating chocolate and plain salted crisps together. One of my favourite groups is Razorlight. I can't stand all that 'celebrity' hype, I've never bought or read a Hello, OK etc, I'm not lining their pockets even more. The last time I wore a dress was at my sister's wedding, 4 years ago. I always do a Suduko before I go to sleep, I like the really hard ones. Sam also gave me the 'E for Excellence' award - thank you for saying such terrific things about my blog! & hearing my kids laugh. Thank you everyone. That's me done for at least until next year!! Congratulations on all your awards!! Thank you for passing one on to me. I too am bad at passing them on, I don't mean to be but like you said, it's just time seems to run away. Congrats on the awards, Nic! They are very well deserved! 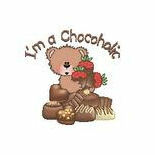 I probably am a chocoholic! Look at all your awards...well deserved. Nic, congrats on all the award. Every single one is truly deserved! I'm afraid I tagged you again for a worthy challenge. Wow, you are indeed the "flavor of the month!". Well done! I'm glad I tagged you Nic...ha ha! This was fun, & my straightener is my best friend too! !! Congrats on the wonderful awards; each one is thoroughly deserved. Well done...& love from Sydney (I'm hvng fun)!! Your list of things you love made me smile. Huge congratulations on all your awards Nic you really do deserve everyone of them! LOL....oh how I would love to hear more about that 1/2 eyebrow! Congrats on all the well deserved awards! Awww, shucks. Thank you and congratulations! Wow what a wonderful lot of awards. I like doing suduko's too. Never tried the chocolate and crisp combo, but i suppose its a bitter salty thing. Will be sure to give it a go. Congratulations on all those awards - well-deserved! And thanks for the tag. Eeeek - are there any random things left about me that people don't know yet? !